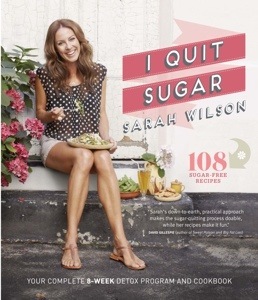 I ended up buying Sarah Wilson’s book ‘I Quit Sugar‘. It is a beautifully designed book. I’m glad I splurged on a hard copy. I have been reading David Gillespie’s book ‘ The Sweet Poison Quit Plan’ but I felt so overwhelmed that I was close to giving up the idea of quitting sugar. The first step was noting down all the times I ate sugar. Boy, am I hooked. So now I am reading the two books in tandem. David’s to get the in depth details. The scientific facts. And Sarah’s book for the weekly program, and the gentle approach, and the recipes.